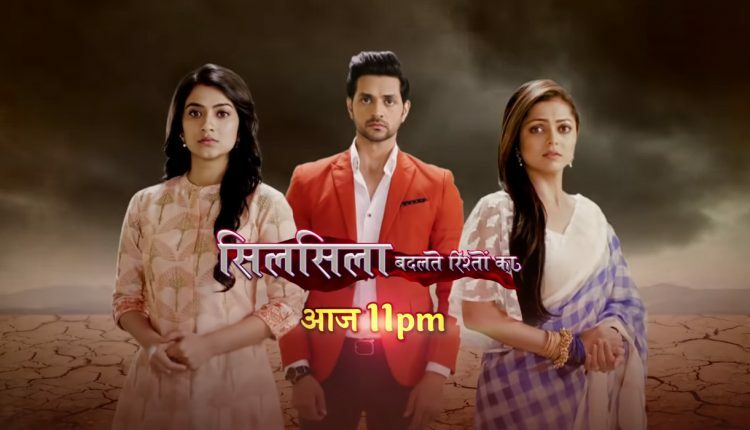 In the latest written episode of 6th November 2018 Silsila Badalte Rishton Ka Kunal and Nandini’s daughter reaches Mauli’s home. The today’s episode begins with Muli kisses to Mishti as she hugs her. Ishaan comes from behind demanding a hug from Mishti as well. Mishit waves towards Ishaan as calling him Popsy. Ishaan swirls Mishti in the air. Then he will pose to be sad at which Mishti hugs and kisses him on both of the cheeks. She feels so happy. Some more of the kids will join Mishti who introduced Ishaan to them. He tries to remember their names but MIshti apologizes to her friend as popsy has little memory loss. She claims him to be the best dad anyway. Mauli spokes to Mishti’s teacher that the weather is bad, so they came to pick up her daughter. But Mishti was not ready to leave her friends alone because she enjoys the moments with her friends and she can wait until her parents come to pick up her. In the camp, Mishti introduces them to Pari. She slips while standing up and Mauli supports to her. She assures that Pari would not be back until her parents are here. Ishaan calls Mamma to inform her that they are waiting for the parents of Misti’s friend. They discuss that Mishti is exactly like her mother, she is also ready to help others same like her mother. Ishaan asks her Mamma that to have some fruits while they return. Mauli asks the teacher that to call to call the father of Pari’s who is too irresponsible. To listen to all this, Pari replies that her father must not have the network else he is the best papa in the world. She said that she loves her father too much. Mauli gets apologizes that Pari and she agress that her father is the best father in the whole world. Ishaan offers to take Pari to their home. Pari said to her that anything can happen to her father. He may get the heart attack. Mauli laughs at her and said that then assures to Pari that nothing will happen to her father. Precap: Mamma asks to Mauli that not to be worried at all and haunted by bad memories from the past. Mauli replies that Kunal was the man who did not believe in her and was doubts of her pregnancy, he did not come to support her Mishti when she needed him the most she can never be worried for such a man again.